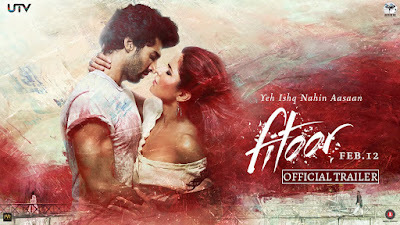 Fitoor - Yeh Ishq Nahin Aasaan is an upcoming hindi Bollywood film Starring Aditya Roy Kapur as Noor, Tabu as Begum Hazrat, Katrina Kaif as Firdaus in main lead roles with Aditi Rao Hydari as young Begum Hazrat, Rahul Bhat as Bilal, Akshay Oberoi as Mufti, Lara Dutta, Suchitra Pillai, Andy Von Eich, Govind Namdev, Ajay Devgan and Delbar Arya as Shaukat in other supporting roles. 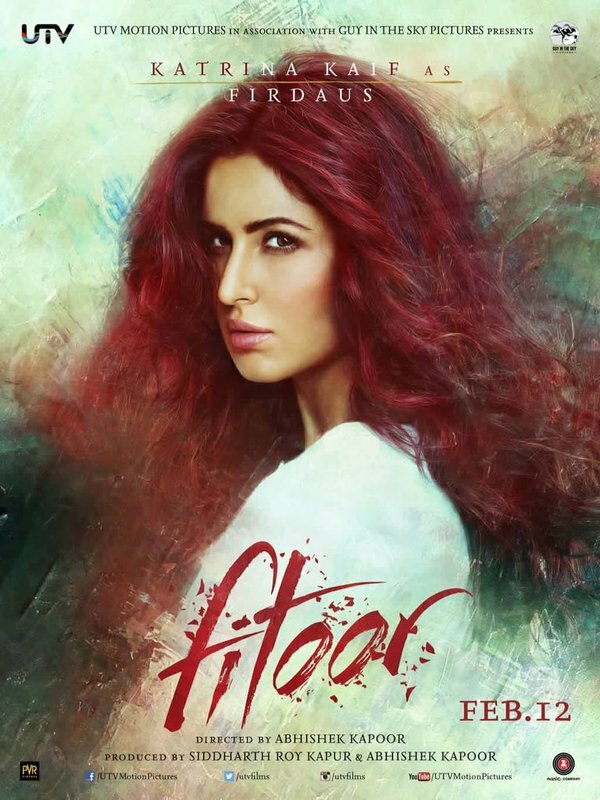 The movie is directed by Abhishek Kapoor and produced by Siddharth Roy Kapur and Abhishek Kapoor. 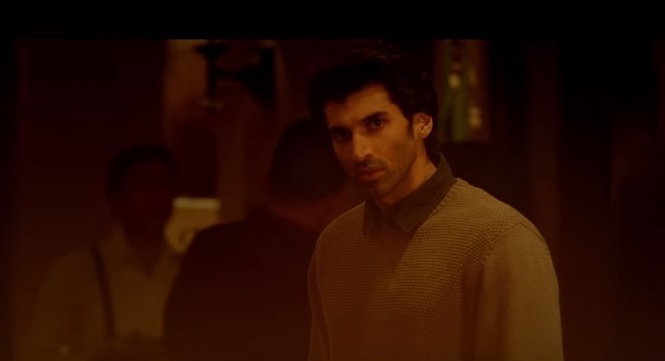 Fitoor is all set to releases on February 12, 2016. 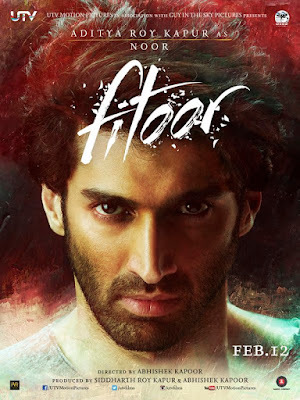 It's a story of A young Kashmiri boy Noor(Aditya Roy Kapoor), his muse Firdaus and a mercurial Begum, through love lost and realized over the course of 2 generations. 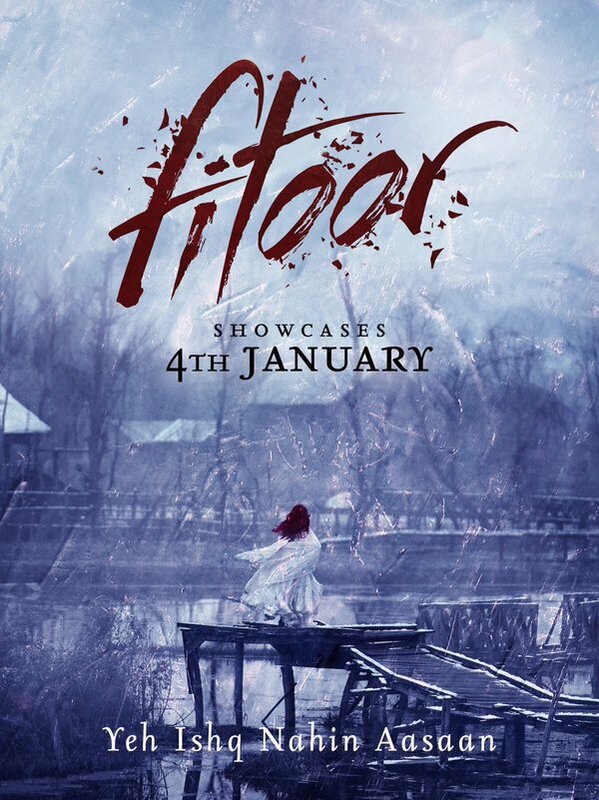 13 year old Noor, an impressionable shikara boy living by the piers of Kashmir’s Dal Lake, is lured into the world of the Begum - the wealthiest woman in town. Young Noor falls in love with the Begum’s daughter, Firdaus (Katrina Kaif) - A beautiful child who has been raised to break hearts. 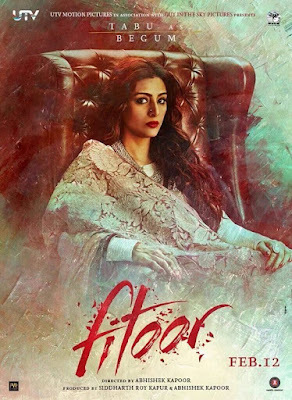 Suffering from a broken heart herself, the Begum finds her mark in Noor. Noor begins to obsess over Firdaus, someone who belongs to a world completely different from his. Seasons change and Noor leaves his hometown to move to the city of Delhi to build his career as an artist. He strives to be accepted into the sophisticated social circles that Firdaus is a part of in a quest to win her love, while the Begum plots retribution on their young and innocent love. 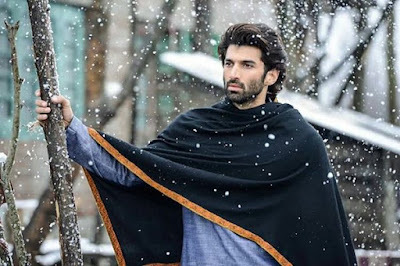 Kashmir Maangonge To Cheer Denge..
Nahi Chaiye Chaiye Mujhe Itna Pagalpan Noor..
Jo Aapke Sath Hua Mere Sath bhi vahi ho..